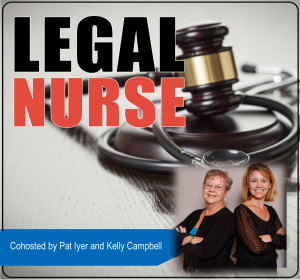 Have you encountered an arrogant nursing expert witness? I did. Suppose you need a highly credentialed expert witness for a case. You supply experts. You form impressions about experts when you talk with them. Don’t refer experts to attorneys when the expert doesn’t get past your screening. One phone call left an impression on me. There is a lot at stake in medical malpractice cases. You want to do your best. I put together a book specifically for LNCs who are expert witnesses or considering taking on this rewarding role. It is called How to be a Successful Expert Witness. 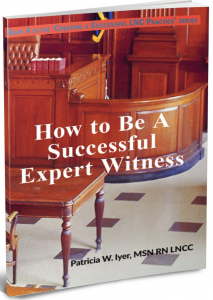 Use this book to read through, refer to, and consult to gain a greater understanding of the role of the expert witness. I urge you to approach being an expert on a case as a tremendous opportunity and a huge responsibility. Engage in your work with professionalism and commitment. The attorney and his client are counting on you. This book draws on my experiences both as an expert witness and one who has trained hundreds of experts – nurses, physicians, and a variety of healthcare professionals. Order your copy at http://LNC.tips/expertwitness and use the code listened to get a 25% discount on this book. Pat founded, grew and sold a successful legal nurse consulting business that had annual sales in the 7 figures. Pat edited “Nursing Home Litigation: Investigation and Case Preparation” published by Lawyers and Judges Publishing Company.